John Tilbury (piano) and Eddie Prévost (percussion). 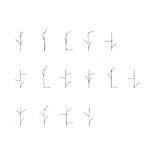 "E1 was recorded at The Rag Factory, Spitalfields, London on Sunday 6th March 2011 at 'As Alike as Trees' festival of improvised music. 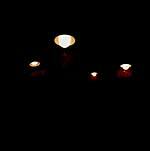 SE1 was recorded at a concert given at The Purcell Room, London, on Sunday 27 November 2011. It was part of 'The Engine Room,' Morley College's Festival and Conference celebrating the life, works and legacy of Cornelius Cardew." 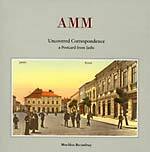 Second volume in the Meetings with Remarkable Saxophonists series, featuring "All But" divided into 3 parts. 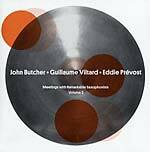 John Butcher (tenor/sopano saxophones), Guillaume Viltard (double bass) and Eddie Prévost (drums). 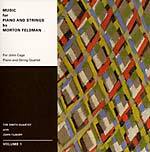 Featured works: Patterns in a Chromatic Field (1981) and Piano, Violin, Viola, Cello (1987). 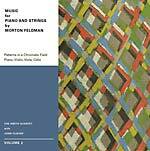 "As these performances of Patterns in a Chromatic Field and Piano, Violin, Viola, Cello amply demonstrate, however well we think we know Feldman through his statements, his music is impossible to carry in your head and remains essentially unknowable. 'Essentially' in the sense of: that is the essential thing about it. The basics are simple enough. 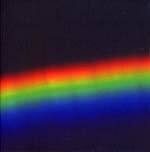 Composed in 1981, Patterns in a Chromatic Field is for cello and piano. Feldman prefaces his note with: 'Take an object/Do something to it/Do something else to it/Do something else to it' before outlining the patterns he places within a 'chromatic field': the raw data of pitch groups, time signatures and chord durations. Piano, Violin, Viola, Cello was his last piece. The motifs are arguably sparser, and certainly there are less of them than Feldman typically used; but the relationship between text and sound remains characteristically inscrutable. The published score has 34 pages paginated with orderly consistency: three systems, each with nine bars. But this visual uniformity bears no correlation to what we hear. 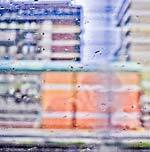 Displaced, changing time signatures and double-bar repeats torpedo the rationality of the grid. Into that equation factor in those imponderables of structure and sound I mentioned in relation to Patterns in a Chromatic Field, and a fundamental truth about Feldman's music emerges -- however faithfully one analyses his scores, however forcefully Feldman persuades us that his music could be a sonic adjunct to the New York School painters he admired, experiencing his sounds is always quite different. " --Philip Clark Format: DVD-audio disc, can only be played on a DVD player or computer. European PAL format only, region free. Sebastian Lexer (piano) and Christoph Schiller (spinet). Subtitled: An Adaptive Appraisal of a Meta Music. 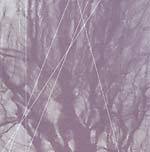 "Percussionist Eddie Prevost co-founded in the 1960s the seminal improvising music ensemble AMM. In this book he presents a very personal philosophy of music informed by his long working practice and inspired by the London weekly improvisation workshop he first convened in 1999. Perhaps controversially, this view is mediated through the developing critical discourse of adaptionism; a perspective grounded in Darwinian conceptions of human nature. Music herein is examined for its cognitive and generative qualities to see how our evolved biological and emergent cultural legacy reflects our needs and dreams. This survey visits ethnomusicology, folk music, jazz, contemporary music and 'world music' as well as focusing upon various forms of improvisation - observing their effect upon human relations and aspirations. However, there are also analytical and ultimately positive suggestions towards future 'metamusical' practices. These mirror and potentially meet the aspirations of a growing community who wish to engage with the world - with all its history and chance conditionals - by applying a free-will in making music that is creative and collegiate." Soft back cover; 234 pages. Performed by Frédéric Blondy - piano; Bertrand Denzler - tenor saxophone; Jean-Luc Guionnet - alto saxophone; Jean-Sébastien Mariage - electric guitar; Edward Perraud - drums & percussion. "Since 1999, Hubbub has played in France, England, Belgium, Switzerland, Canada, USA, Portugal, Serbia and Austria, at Festivals like FIMAV (Victoriaville), VTO (Toronto), Freedom of the City (London), NPAI (Parthenay), Fruits de Mhère (Brassy), Densités (Fresnes-en-Woëvre), Jazz à Mulhouse (Mulhouse), Jazz em Agosto (Lisbon), Ulrichsberger Kaleidophon (Ulrichsberg) or Ring Ring (Belgrade) and has released the CDs UB/ABU on For 4 Ears (Günter Müller's label), Hoop Whoop and Hoib on Matchless Recordings (Eddie Prévost's label) as well as a DVD-R on ? dans l'O (Patrick B?uf's label). The new Hubbub album is a double CD called Whobub with a live recording and a studio recording." Jennifer Allum (violin) and Edwin Prévost (bowed percussion) perform on four tracks: "Investigative Study" in three parts (recorded July 13, 2010 at The Welsh Chapel, London) and "Dolwilym Penumbra" (recorded Oct. 12, 2010 at the Mwnci Studios, Wales). "The co-bowed industry recorded here sounds exactly as you will discover, contingent on your subsequent listens. It interrogates, employs and deploys a common system -- the bow and its range of purchase. The bows here-used follow parallel clines of provenance, from the generic to the unique. Jennifer Allum alternates two, a 17th century German and a 'conveyor-belt' bow. Eddie Prévost switches between a similarly mass-produced model and two boys of historic largesse, gifts from his friends, and erstwhile AMM colleagues, Lou Gare and Lawrence Sheaff." Recorded at the "Freedom of City" festival, Conway Hall, London on 5/3/09. John Butcher (tenor & soprano saxophones), Ute Kanngiesser (cello), Eddie Prévost (percussion), John Tilbury (piano) and Christian Wolff (piano, bass guitar, melodica). "The late Paul Rutherford, Harrsion Smith, Tony Moore (cello) and Eddie Prevost; this is a newly discovered recording of a concert given in Bristol in 1992." The Smith Quartet (Ian Humphries, violin; Darragh Morgan, violin; Nic Pendlebury, viola; Deirdre Cooper, cello) with John Tilbury (piano) live at the Huddersfield Festival of Contemporary Music, 2006. Tracklist: 01. 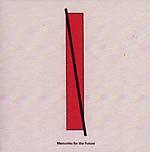 For John Cage, 1982 (1:29:01) (Darragh Morgan and John Tilbury) 02. 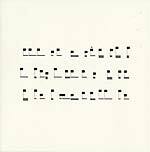 Piano and String Quartet, 1985 (1:29:30) Total playing time: 2:58:31. "This is a video DVD, although images are only used for the DVD menu and the first 25 sec of each track. The screen will be black for the remainder of the pieces. The disk can only be played on a computer with DVD drive or DVD player. The DVD format was chosen because most of the works to appear in this Smith Squartet with John Tilbury series are too long for an uniterrupted playback in the conventional CD medium." Region: 0, PAL format. 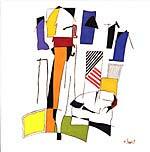 "'Experimental jazz' with Seymour Wright (alto saxophone), Ross Lambert (ele.guitar), Eddie Prevost (drums). 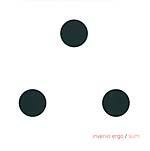 Live at Café Oto, 8th February 2009." "Seymour Wright (alto saxophone). Eddie Prévost (roto toms). Recorded at a concert given at Blackheath Halls, London, England on 30th March 2008." One piece of solo piano, one piece of solo drums, one duet piece. 68 minutes long. Limited hardcover edition. 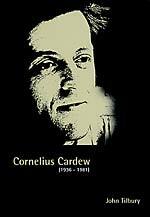 "Cornelius Cardew was a musician of genius for whom life and art were as one. He was a radical, both artistically and politically, becoming a tireless activist and uncompromising Marxist-Leninist. Passion and imagination governed all he did: his boldness and humanity continue to intrigue and inspire. John Tilbury, whose close friendship with Cardew dates from their first concert together in January 1960, has worked for many years on this biography, and brings his subject vividly to life. In doing this, he has drawn extensively from Cardew's journals and letters, and obtained first-hand accounts from friends and colleagues. The handling of this material is thoughtful and meticulous. Tilbury is a master story-teller and this particular story is of epic scale and character. We begin in 1932, appropriately on May Day, with the first meeting of his parents. Later, we encounter the intrepid schoolboy and student, who impressed sufficiently at the Royal Academy of Music to receive funds to study in Cologne with Karlheinz Stockhausen. The narrative during this period is delightfully picaresque, a colorful prelude to the years of family responsibilities and extraordinary musical endeavor and achievement (AMM, Treatise, the Scratch Orchestra and The Great Learning). As events unfold, discussion of the music is given due weight, but is never unduly weighty. Towards the end, there is an implacable gain in momentum as Cardew's political work makes increasing demands on his time and apparently limitless reserves of energy. A life unfinished? The final chapter is entitled '12/13 December 1981' and eloquently 'vibrates in the memory.' 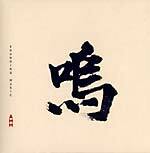 1071 pages (230cm x 153cm), including 16 photographs and numerous musical illustrations. 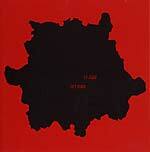 Published in 2008 by Copula, an imprint of Matchless Recordings and Publishing." New Matchless 3 track compilation, including a new 25-minute AMM (Prévost/Tilbury) track. Also features the quartet of: Chant/Lambert/Lexer/Milton (Tom Chant: soprano and tenor saxophones; Ross Lambert: guitar; Sebastian Lexer: piano and laptop; Matt Milton: violin) and the trio of Coleman/Wastell/Wright (Jamie Coleman: trumpet; Mark Wastell: Indian harmonium; Seymour Wright: alto saxophone. Total playing time (68:28). An Interlace/Ongaku presentation at Shunt Lounge, London Bridge on 9th November 2006. 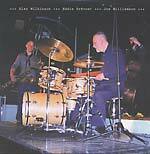 Studio duo recordings from 2006 by AMM's Eddie Prévost (drums) & Alan Wilkinson (alto & baritone saxophones); Wilkinson is a vetern UK improvisor, best know from the Hession/ Wilkinson/Fell trio. "It is hard to think of an album of saxophone and percussion duos without thinking of John Coltrane's and Rashied Ali's Interstellar Space. It is a magnificent piece of music, and a constant challenge to those who have followed. But it also acts as a barrier, not necessarily to musicians, certainly to those who listen to and cherish music. Coltrane's late opus numbers were the product of a spiritual quest that seemed tinged with a Faustian urge to know everything. The association with Ali took him out beyond the basic time-codes of jazz, then Western music, then any other systematised metrical language. To some extent, without in any way explicitly addressing Interstellar Space, Prévost and Wilkinson have responded to it by bringing their language back into a human realm, to a space in which the specifics of making a particular sound at a particular moment is more important than the metaphysical import of those sounds, and to the excluded middle of what can only be called 'ethical' music-making. That is not to say, music with a moral function or conclusion, but rather music that addressed itself to the fundamental ethical question, which is how we address each other, how we communicate needs, desires, concerns and ambitions, and how we make that language available to others as an ongoing discourse." Kind of an improv CD-single! One 35-minute live track, in a card sleeve, cheaper price. 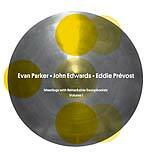 Eddie Prévost : drums; Alan Wilkinson: alto and baritone saxophones; Joe Williamson: double bass. Recorded at Freedom of the City festival, London, England on 1st May 2006. This is 35-minute live session from 'Freedom of the City' festival 2006. 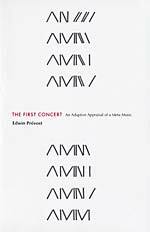 A collection of Cornelius Cardew's published writings, edited by Eddie Prévost. With commentaries and responses from Richard Barrett, Christopher Fox, Brian Dennis, Anton Lukoszevieze, Michael Nyman, Eddie Prévost, David Ryan, Howard Skempton, Dave Smith, John Tilbury and Christian Wolff. Introduction by Michael Parsons. "The English composer Cornelius Cardew (1936-1981) was among the most adventurous, controversial and innovative musicians of his generation. After an initial association with Stockhausen and the European avantgarde, he became engaged with the aesthetic ideas of John Cage and the New York School. A leading figure in the experimental music of the 1960s, Cardew is widely acknowledged as a pioneer of indeterminacy, graphic notation, free improvisation and performer involvement. As well as extending the boundaries of music in unprecedented directions, he inquired deeply into its social relevance and meaning. His passionate and untiring quest for wider social significance led him eventually to become a political activist. 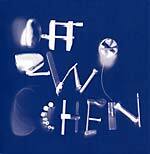 In the 1970s he repudiated his earlier experimental work and adopted a more traditional musical language. He joined a revolutionary Marxist-Leninist party and devoted himself to political action, at the same time searching for ways to express his commitment in musical terms. At the height of his political involvement he died tragically at the age of 45, killed by a hit-and-run driver near his home in East London. 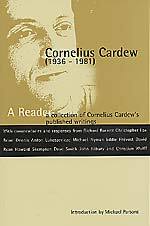 This reader brings together a diverse collection of Cardew's major essays and writings from different stages of his career, together with commentaries by other writers associated with his work. It reflects developments, changes and contradictions in his thinking about music from the late 1950s to the end of his life. As a companion volume to John Tilbury's biography -- Cornelius Cardew: A Life Unfinished, Copula, 2006 it provides essential material for the study of Cardew's life and ideas; it also makes a significant contribution to discussion of the wider issues involved in the relationship between music, ideology and political commitment." Illustrated 390 pages, paperbound. Mesmerizing solo percussion album for tam-tam, from the founder of AMM. Studio recordings from 2005. Here is Eddie's description of how the title track of this CD came about: "Entelechy is virtually autonomous. The tam-tam was suspended upon its usual rectangular frame. In this instance a battery driven electric motor was set up alongside the tam-tam with wire threads fanning out from a small rotating wheel. I set this in motion and retired to the control room to watch and listen with the recording engineer (Sebastian Lexer) as the tam-tam (as it were) told its own story. Various processes came into play. The fanning wires beat the edge of the tam-tam and began to set up numerous overtone patterns -- due in part to the irregular shape of the wheel motion. These were enhanced, diverted and changed by a gradual oscillating motion as the rotating beaters began to push the tam-tam on its suspending rope (creating a gentle swinging movement), and by the gradual diminishing power of the motor. This process was played out until the batteries were depleted. As a composer, I am struck by the similarities that this approach has to certain experimental tendencies in the world of composition. Various pieces spring to mind that are concerned with setting up a physical situation and then allowing it to play itself out, with no more than a gentle nudge from the performer. Steve Reich's 'Pendulum Music,' Takehisa Kosugi's 'Micro 1' and Alvin Lucier's 'Music on a Long Thin Wire' are all works concerned with revealing the potentiality of materials and allowing those materials to sound themselves, where, after initiating the process, the performer steps back and listens with the rest of the audience."